Why should you go through all the trouble of growing your own herbs when there are plenty of fresh herbs for sale at the market? What’s the point to getting all that dirt under your fingernails when you could pull open a plastic package and get the same ingredients? There’s more to herb gardening than meets the eye, and the benefits are profound. I’ve listed ten of my favorite reasons for growing your own fresh herbs. I’m sure once you get started, you’ll come up with a few ideas of your own. Fresh Herbs Always Available— One of the best benefits of growing your own herbs is having fresh herbs right at your fingertips, whenever you want or need them. When you have your own herb garden growing right outside — or inside — your door, you’ll always have the right ingredients waiting for you to make dinner time magic. No Boring Dinners – Adding a few different herbs to a simple chicken dinner makes it a whole new meal. Your simple side dishes become the main feature. Potatoes are a new adventure on a nightly basis. The results are only limited to the types of herbs you decide to plant and how daring you want to be with your menu. Good For You – Adding fresh herbs to your diet is a great way to boost your meal’s vitamin value, but that isn’t the only health benefit you can obtain. Gardening is a wonderful form of exercise. All of that digging, bending, and stretching will pay off in tightly toned muscles, and if you keep at it, you’ll also achieve a bit of weight loss and healthily glowing skin. Save Money – Let’s face it, fresh herbs can be expensive when you purchase them individually at the grocery store every time you need them, and the local grocer doesn’t always stock all the herbs you are looking for. When this happens, you’ll need to find a specialty store, where you are going to pay even more. After the initial investment of getting your herb garden started, the money you save will be your own. Educational – Herb gardening is an educational experience for adults as well as for children. There is always something new to learn, whether it be a new gardening technique, a different recipe, a new and improved use for the herbs you thought you knew so well, or the fascinating history of herbs that dates way back to medieval times. 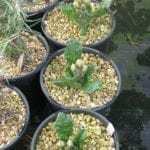 Relieve Stress – Tending, or just visiting an herb garden can do a world of good towards relieving all that built up stress that daily life likes to give us. The sights and scents that abound in an herb garden delight the senses and revitalize the soul. Having one at your own home makes it that much easier. Curb Appeal – Adding an herb garden to your home’s landscape gives your yard real curb appeal. Most herbs are just as pretty as shrubs and flowers. You can even add them to your shrubs and flowers if you don’t have room for a formal herb garden. They blend in beautifully. 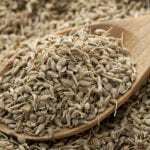 Share the Wealth – Growing your own herbs means that you’ll always have more than enough herbs than you can possibly use, leaving you plenty of extras to share with friends, family, and neighbors. Just think how popular you will be when you show up at the next dinner invite with a basket full of fresh herbs. Dried fresh herbs in pretty jars make wonderful gifts too! Exotic Variety – Did you know that there are more than 30 different types of basil? 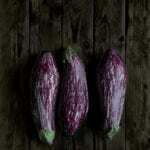 The local market will usually only carry the most common, sweet basil. 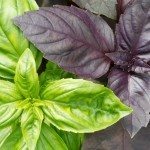 Dark opal basil, which is purple in color, is a bit more difficult to find, as are cinnamon basil, anise basil, Italian basil, and globe basil, which happens to be perfect for those of you with smaller gardens. Growing your own herb garden will allow you to sample some of the other more exotic and fun herbs that are out there waiting for you. Good Clean Fun – Okay, well maybe it’s not the cleanest hobby, but gardening and watching your fresh herbs grow is well worth the little bit of dirt you’ll need to wash off. Get out there and start planning your own beautiful and aromatic herb garden. It really is fun, and the benefits can’t be beat.